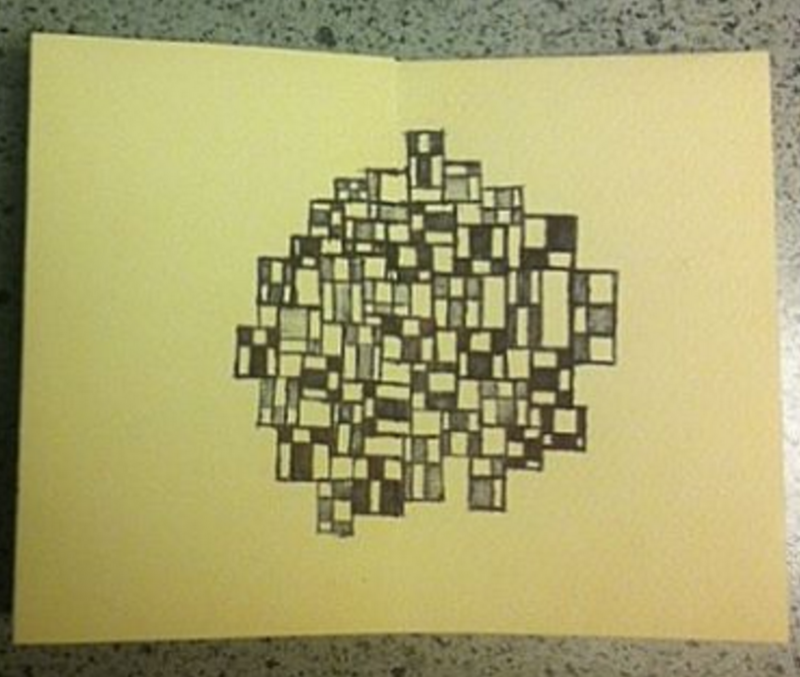 The second book in my Ritual offerings is a book of patterns which I make at random. There are a few rules to these patterns; I create a locked box like in card stacking and like values should not touch and everything is withing a grouping of two or three rectangles, but using those rules as a scale I create the work at random. I liken it to creating a jazz solo and I think of myself as a visual Trane.